Young people these days get a pretty bad rap. They’re often harshly criticized for their dependence on their smartphones, their admitted inability to “adult,” and their membership in the same generation that boasts socialist airhead Alexandria Ocasio-Cortez. 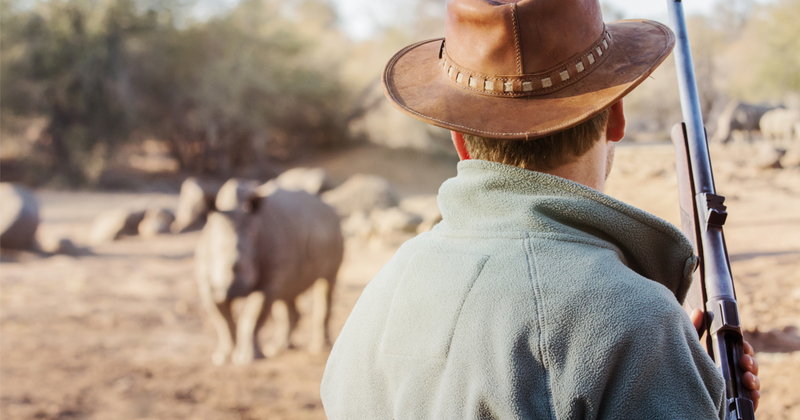 Of course, these are all generalizations, and there are plenty of hard-working, intelligent, and kind young people out there who, in the age of social media, often get recognition for simple acts that go viral. So don’t forget what young people are capable of! One such young person who is being praised across the interwebs is Vincennes University student Andrew Cohen’s gracious offer to a wheelchair-bound student who he noticed headed to class in the rain. 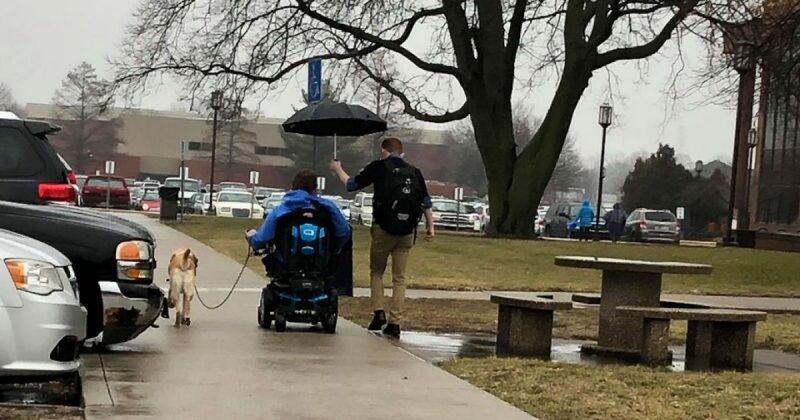 It was pouring in Vincennes, Indiana, on Wednesday when Cohen, a business administration major, saw a fellow student in a wheelchair across the parking lot headed towards class in the rain with his service dog and no umbrella. 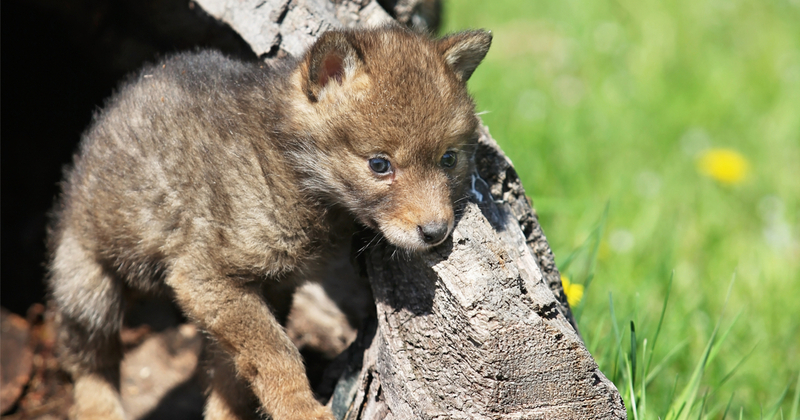 Elizabeth Stevens-Hardin, an employee at Vincennes University, was on her way to lunch when she happened upon the moment. When Cohen caught wind of the heartwarming praise social media users had poured upon him once the post went viral, he humbly posted he wasn’t the only one who had reached out to the student. Kind and humble—a truly admirable young man!